Following the fleeting reveal of instrumental passages in two trailers and the release of the track ‘Suspirium’ it can be confirmed: Thom Yorke’s Suspiria (Music for the Luca Guadagnino Film) will be released Friday 26 October via XL Recordings / Remote Control Records. Suspiria consists of 25 original compositions written by Thom specifically for Luca Guadagnino reimagining of the 1977 Dario Argento horror classic. The album is a mix of instrumental score work, interstitial pieces and interludes, and more traditional song structures featuring Thom’s vocals such as ‘Unmade’, ‘Has Ended’ and ‘Suspirium’, the album’s first single featuring the melodic theme that recurs throughout the film and its score. The original soundtrack to the 1977 horror flick was scored by Italian prog rock band Goblin. The Italian band performed the soundtrack live in Melbourne in 2012 as part of Melbourne Music Week. As scoring a horror film presented Thom with altogether new challenges and opportunities, Suspiria stands apart from any of his other work. Piano/vocal ballads, Krautrock-esque modular synth work inspired by the film’s Berlin 1977 setting, multilayered vocals, and melodies that convey terror, longing and melancholy combine to create a chaotic yet cohesive musical spell. 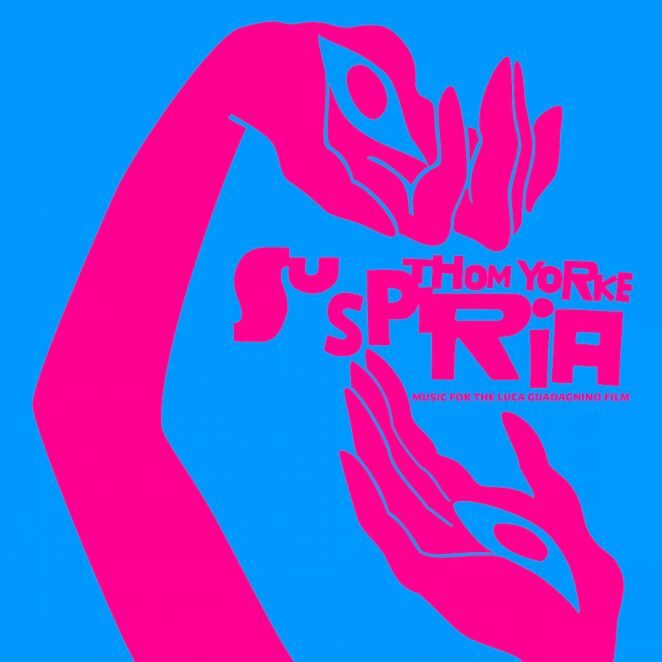 Suspiria was written and arranged by Thom Yorke, recorded and produced by Thom and Sam Petts-Davies. The album also features the London Contemporary Orchestra and Choir, Noah Yorke on drums on ‘Has Ended’ and ‘Volk’, and Pasha Mansurov on solo flute on ‘Suspirium’. Suspiria (Music for the Luca Guadagnino Film) will be available across digital platforms, as well as 2-LP gatefold package pink vinyl and 2-CD physical versions. See below for track listings and for further information go to thomyorke.lnk.to/suspirium.